Many people judge others not only by their appearance but also by looking at their nails. You are required to have manicures which will make your hands and finger nails look amazing. Besides taking care of nails size, it’s cleaning and moisturizing hands, manicure takes of cuticle care. 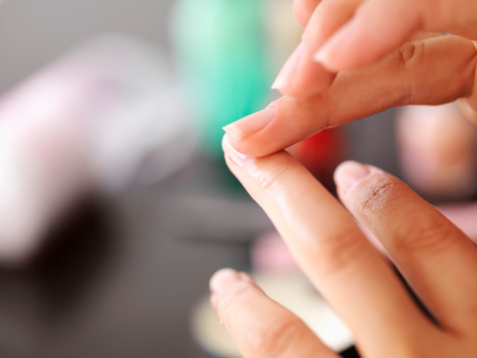 Remember that cuticle is the part of skin that reaches the nail’s surface. For a better look of your fingers and hands, you need to focus on cuticles when having a manicure. You need to watch for cut or dried cuticles on your fingers. It is most common condition in winters. These cuticles become dry and cracks during winter season. If this scenario occurs, you need to pay a visit to spa. Next you need to check whether you have dry skin or not. Watch out for redness along the cuticle. However, if cuticle is swollen and pus is coming out, it has infection. If this scenario occurs, you need to avoid hitting a spa and immediately go to a dermatologist. In case you have short nails, you need to check your cuticle. If you have long cuticle with short nails, your nails will look smaller. It is strongly recommended for you to pay visit to a spa. By this your cuticle will be trimmed and shortened.